Whether for the hall, dining room, bedroom or kitchen, we have tables and chairs in a large range of wood types and paint colours for you to choose from - we can also design and make to your specification. The Hayward combines simple elegance with ultra comfort. Its tall legs and radius edges give the impression of lightness,whilst its deep feather mix cushions, neatly held within the continual line of its base, provide a sumptuous sit. Designed , custom made and fitted . Our new look online store is under construction . Call us to order other products . 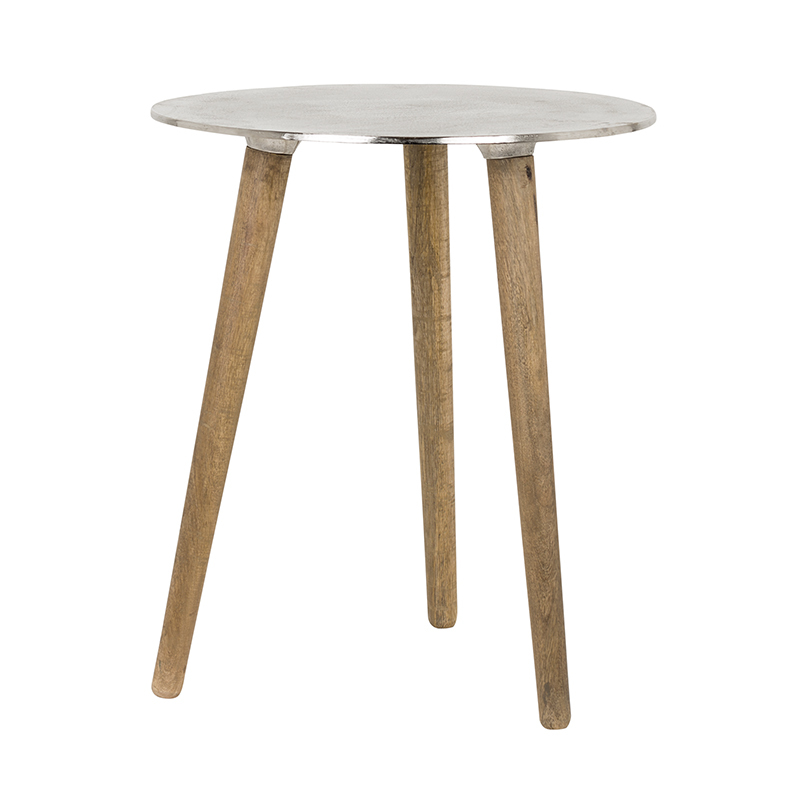 3 legged table ,aluminium top & beech leg. 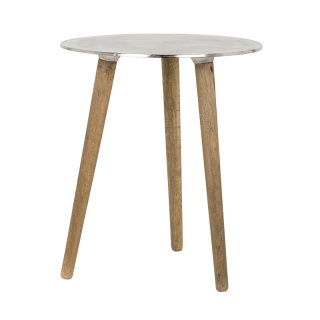 Milking stool look alike side table. 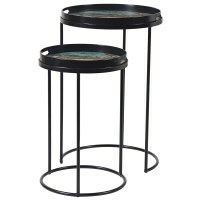 Great as a wine table or bedside table. So very "Scandi" . Where will you put yours? 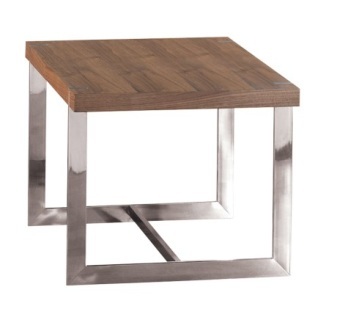 Natural wooden top and chrome base side table . Rustic and sophisticated all at once ! Furniture above from our Richmond Interior range . Is all your furniture on the website? No, only a small selection in comparison to the huge range that we do. Call us and tell us what you are looking for & we will show you a range that will suit you and your budget. Do you deliver anywhere in Ireland? Yes, and we can ship to the UK or Europe when necessary from our warehouse in Ballymount Dublin. Yes we make sofas and chairs. We also work with a great cabinet maker that custom makes dressers, bookcases, wallpanelling and radiator covers. We usually assist with the design. Do you make upholstered headboards? Yes, very beautiful ones. We also have a fabulous design with sleigh sides that is stunning. Do you make sofas and chairs ? Do you have a painted furniture range? Yes in many colours, blue, red, green, duck egg blue, cream and many more. See our De Spieghel range. Do you make built in wardrobes and kitchens? No, but again we can help with design & colour choice and put you in touch with the best manufacturer. We have furniture from budget to top of the range, so there is a price point to suit everyone. Do you do full turnkey apartment & house fit outs for the rental market? Yes, we work closely with property management companies and investors. We simply collect the keys, then fit flooring, furniture & all accessories as necessary. These are usually at basic budget friendly prices. Lots of other pieces available for the kitchen, dining & living areas. Grey painted furniture , ivory painted furniture and casual but chic upholstered dining chairs are key pieces in achieving this look. ​Its nice too to have something a little different that isn't available everywhere. We have many different makes of beautiful furniture. From rental apartment fit outs to a stately home in the country, we have something for everybody. We will be updating this section in the coming weeks.